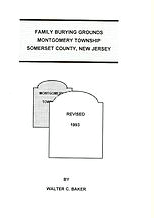 A collection of unique publications and oral histories about Montgomery Township, all written by members and historians of VHHS! 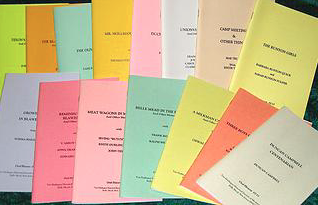 To order by mail Click Here for an order form, otherwise use our shopping cart. Rieur covers stone-arch bridges, metal truss bridges, and wooden-railed bridges, which are complemented by color photographs. 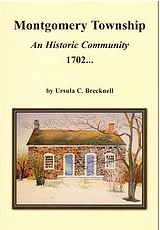 This text is currently out of print- please express interest and we will reprint! Over a span of more than 20 years, the Van Harlingen Historical Society has taped and compiled a collection of oral histories. 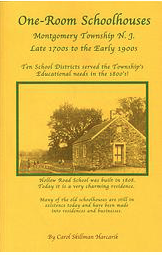 Through Walter Baker’s leadership, direction and perseverance, this collection has developed into one of strong historical significance to Montgomery Township. 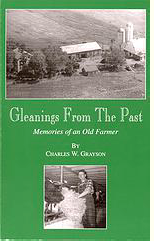 The individual oral histories tell us many interesting tales of the individuals who built Montgomery, and they give us a very real look at the life, work, school, play and farms in Montgomery from the early 1900s up until present times.